MILWAUKEE, April 12, 2019 /PRNewswire/ -- ManpowerGroup (NYSE:MAN) has been named a 2019 Top Workplace in Southeast Wisconsin by The Milwaukee Journal Sentinel. 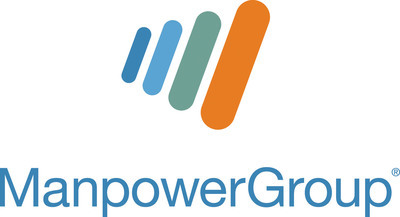 The award is based solely on employee feedback and recognizes ManpowerGroup for the second year for the strength of its workplace culture including its commitment to diversity and inclusion, attracting and developing talent and employee engagement. "Putting hundreds of thousands of people to work every year across Wisconsin and the U.S. is only possible because we are committed to cultivating a work environment where people can be their true selves and feel empowered to reach their potential," said Becky Frankiewicz, President, ManpowerGroup North America. "It's important to us that we take responsibility to broaden the capabilities of our people, nurture a culture of learnability and develop the skills needed for jobs today and tomorrow. That's why this award is even more of an honor because our own people are telling us ManpowerGroup is a place they want to work, feel supported and can thrive." The Milwaukee Journal Sentinel Top Workplace Awards facilitated by research firm Energage survey Southeast Wisconsin's leading small, medium and large employers to measure work environments. To learn more about ManpowerGroup's commitment to connecting people to meaningful and sustainable employment, visit https://doingwellbydoinggood.manpowergroup.com/.